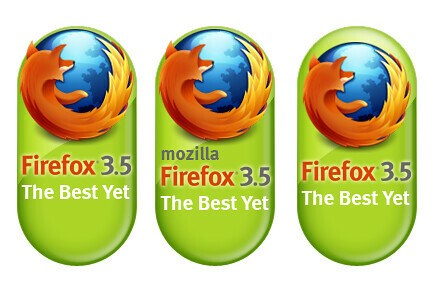 Firefox 3.5 is ready to be downloaded! Join the Shiretoko Campaign to launch Firefox 3.5! Categories: news | Tags: collaboration, download, Firefox, free, fx35, Mozilla, open source, software | Permalink. Categories: news | Tags: linux, open source, promotion, talk share, ubuntu, ubuntu 8.10 | Permalink. Categories: news | Tags: collaboration, Europe, Internet, Italy, linux, Linux Day Italy, open source, Os, www | Permalink. I found this very interesting application, Gapminder, to show dynamic data evolution in time and in comparison with other data. I have already seen it in action in a quite famous video of Professor Hans Rosling speaking at the TED-conferance 2006 about “Myths on Developing World“. Some more notes about it: Google, always them, acquired the software few months ago and will add it to their free sw package pretty soon. Let’s reflect on this approach. Google’s mission is “to organize the world’s information and make it universally accessible and useful”. Distributing software for free helps doing that. Google will redistribute it for free as it is doing with other tools like Picasa, Analytics, Google Earth, etc. This can be considered good or bad, according to the point of view. Categories: news, reports, social media | Tags: capacity building, communication, development, Gapminder, Google, Hans Rosling, knowledge sharing, open source, people, software, technology, TED, tools, web, www | Permalink. I see many people around talking about Firefox and IE. Personally, this is something very important for my job and I have my idea: I spend my time on the Internet to understand it and to be able to suggest my colleagues how to use it properly to better their job. So, the first question for me is: “how to browse the Web” which means: “how to work everyday”. – I particularly appreciate innovation and speed. I like to have the possibility to go deeper in a website or a webpage and be able to analyze more things than a usual surfer does. to do that, I need specific instruments. – Second, I like customizable environments which make me feel “at home”. Changing colors, icons, buttons, toolbars, etc. is a way to make mine something I use so a lot. – Third, I have my ideas and philosophy and I appreciate when I find support and correspondence to them during my job. I like them and I support them the way I can. – First, evolution: Firefox is a relatively new product with many different versions and evolutions during the past two years and many more to come. IE is very static and has not changed much during last five years. Moreover, Firefox provided features not adopted by IE like the tab-browsing, a better bookmarks management, an easy way to control security options and an interesting way to plug-in new extensions. – Second, customization. With Firefox I can reshape almost everything in the tool, from look and feel to functionality. IE does not permit anything like that. – Third, I like the “open source philosophy“. Firefox is an open source product while IE is not at all. Categories: ideas, reports, visions | Tags: applications, Firefox, innovation, Mozilla, open source, software, support, technology, tools, web | Permalink.